Super Bowl weekend is here. 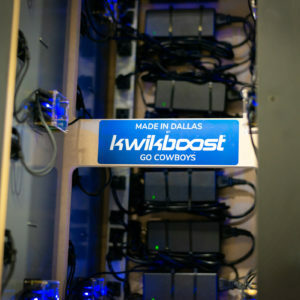 And while fans in Dallas are already looking forward to the Cowboys’ next season, Dallas has found a unique way to support its team at this years big game: KwikBoost’s custom mobile device locker, designed exclusively for the NFL Fan Experience at Super Bowl LIII. Powering fan experiences at Mercedes-Benz Stadium, the locker will be serving anyone who needs a charge up during the showdown between the New England Patriots and the Los Angeles Rams. Hidden inside the locker is a message from KwikBoost on behalf of Cowboy fans everywhere: “Go Cowboys”. This won’t be the first time the NFL has pulled in charging stations for game time. But this does a mark another first: the first charging locker to bring Cowboys spirit to the Super Bowl. Beyond just Mercedes-Benz, stadiums nationwide are taking leaps to improve fan experience in their spaces. 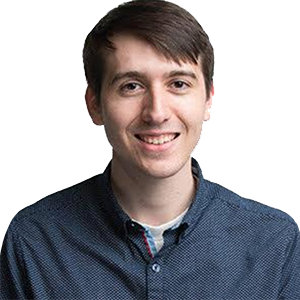 Sharing exciting moments in real time is now customary for any fan of sports, so venues are responding to this with creative ways to keep fans engaged. An emerging fan experience trend is to make phone charging as simple and convenient as possible. Beyond using a phone to capture moments during a game, there’s a world of other scenarios in which having a dead phone at a game could leave someone feeling disconnected. It’s almost second nature the way today’s sports fans engage with the game through their devices. From taking photos with friends to snapchatting plays, mobile devices are a constant in the way that we experience with the game and interact with other fans. When I’m at a game, I’m checking my phone during the cuts between plays, in line getting a snack, and during halftime. Then there’s this whole other situation this upcoming Super Bowl where I may need to check if Tom Brady cries when the Patriots lose again. In all seriousness, the truth is anything can happen during a game. If there was an emergency and someone was trying to reach me but my phone died, I wouldn’t be available to even see it until I got home and charged it. We rarely think of these things when we’re enjoying the thrill of our favorite teams playing, but there’s no reason that a venue shouldn’t offer a way for fans to remain connected for any of the aforementioned scenarios.